If you have any questions or want to enquire about dates, use our form to contact Kees & Inge Stapel or see their website for more information. Deep in real peace-wrapped country, this place of secluded old-style comfort and breathtaking views of the Morvan has new and rightly enthusiastic Dutch owners: it’s gorgeous. Inside are open fires, antique beds, sympathetic period decorations, antique linen and super modern showers. Rooms are vast and there are two salons, one gloriously golden green, for lazing about. A baronial double stair leads down to the fine garden and the ha-ha where, rather endearingly, chickens may be roaming. 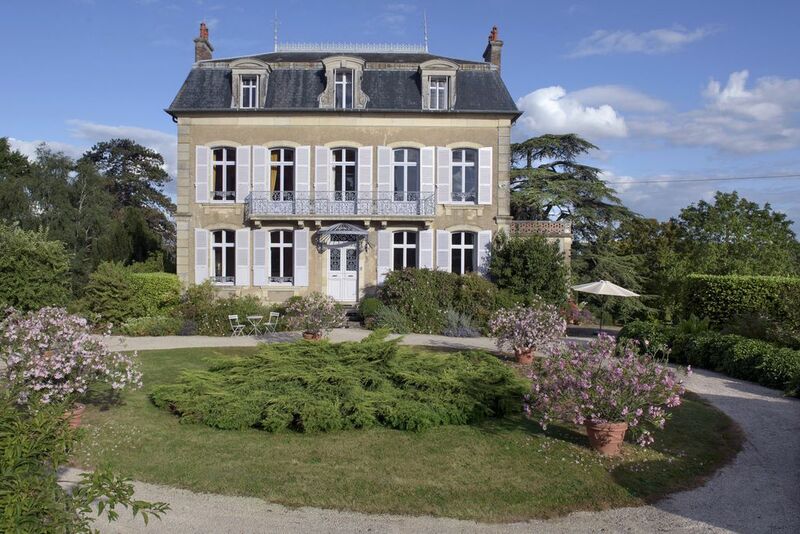 A base for church, château and vineyard visits – a peaceful paradise. Complimentary dinner with wine for 7-night stays (Sun only). Guest kitchen. Restaurant 3km. Have you visited La Villa des Prés? Be the first to leave a review. Medieval Vezelay with its world famous Basilique, UNESCO heritage. Starting point of two crusades, one headed by the English king Richard Lionheart. Remnants of Maria Magdalene can be seen. Un-spoiled beautiful landscape of the Morvan which can be fully observed from your own bedroom window. Explore the Morvan by hiking, cycling or canoeing. A variety of castles, which played an important role in the history of France and England. Around one of these castles, the lovely garden of Apremont, situated in a village listed as "50 most beautiful villages of France", is one of the topics to be seen. Wining and Dining form a major part of the Burgundian lifestyle. A must is a dinner in the attractive garden of Auberge du Centre where the well known cook Ronald Kluft and his wife Catherina serve fantastic food, wine and atmosphere at very payable price. Burgundy means famous wines. Visit the nearby vineyards in Sancerre, Pouilly and Chablis. Visit medieval cities like Nevers with its Palais Ducal, Cathedral and Bernadette of Lourdes, Charite sur Loire, Auxerre and Clamecy.